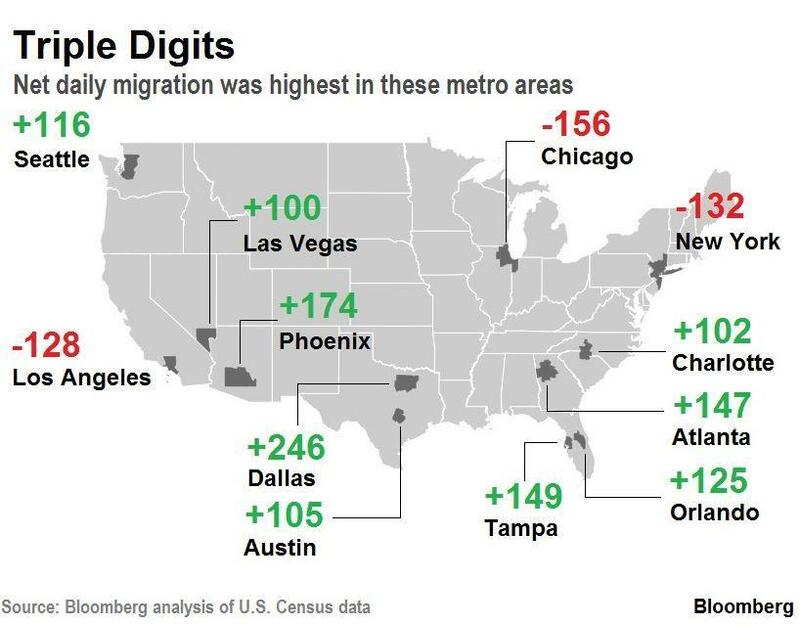 Comprising 48% of city residents, those with annual incomes between $30,000 and $60,000 are feeling the squeeze from higher living costs, wage stagnation and high taxes that whittle away at disposable income. 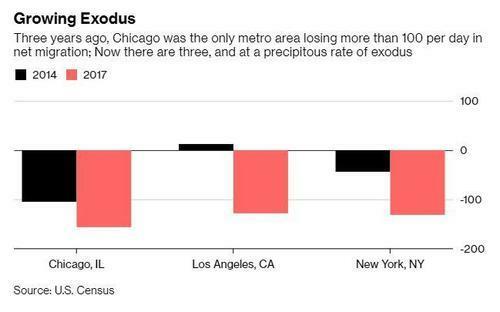 New York's exodus is topped only by Chicago, according to the data analyzed by Bloomberg. For comparison, around 61% of New Yorkers were considered middle class in the 1970s. "The middle class is getting squeezed," says economist Peter C. Earle of the American Institute for Economic Research. "The rich in New York City are getting richer; the poor are actually getting richer, but not rich enough to be middle class." According to Earle, it isn't unreasonable to assume middle-class incomes have fallen at a more rapid pace in NYC due to the city's disproportionately high living costs. 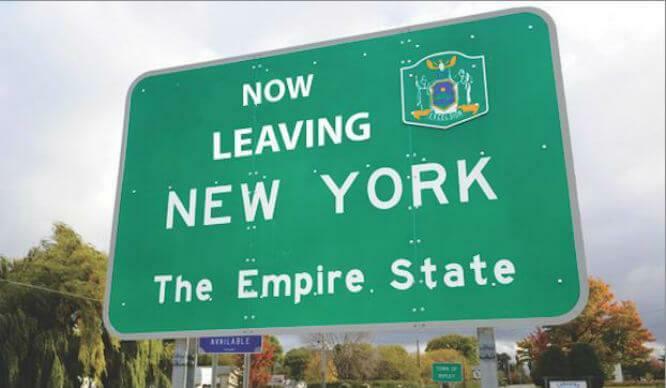 of the estimated 175,000 net new private-sector jobs that have been created in New York City since 2017, fewer than 20 percent are paying middle-class salaries, Earle notes. As the Post notes, one need look no further for evidence of the shrinking middle class than "borded-up retail stores," which reflect "rising rents and slackening consumer demand." Contrary to the stock-market linked troubles facing most Manhattanites, over one million New Yorkers have reported worrying that they don't have enough food to feed their families.